Woof woof! Have you ever heard the story of Laika, the Soviet Space Dog? 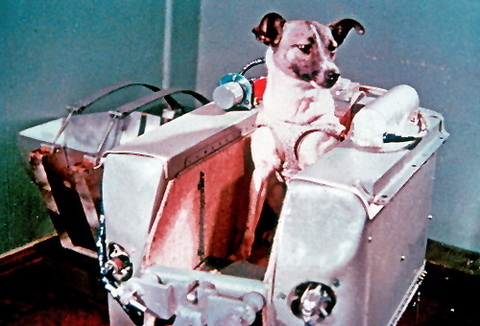 In 1957, Laika (shown above) became the first living creature to orbit the Earth, when Soviet scientists launched the 13 lb. canine into orbit aboard a hastily built Sputnik 2 space capsule. 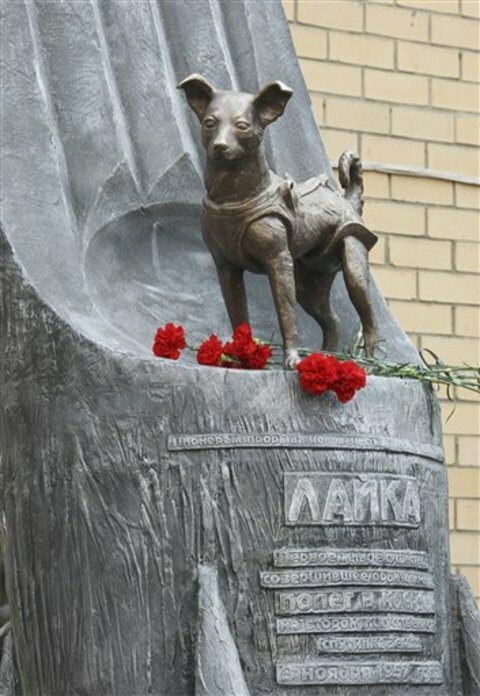 A former stray found on the streets of Moscow, Laika perished when the thermal control systems failed and the capsule overheated, killing the dog in orbit. Happy 45th Anniversary, Telstar 1! I just want to let you know that you made an error. 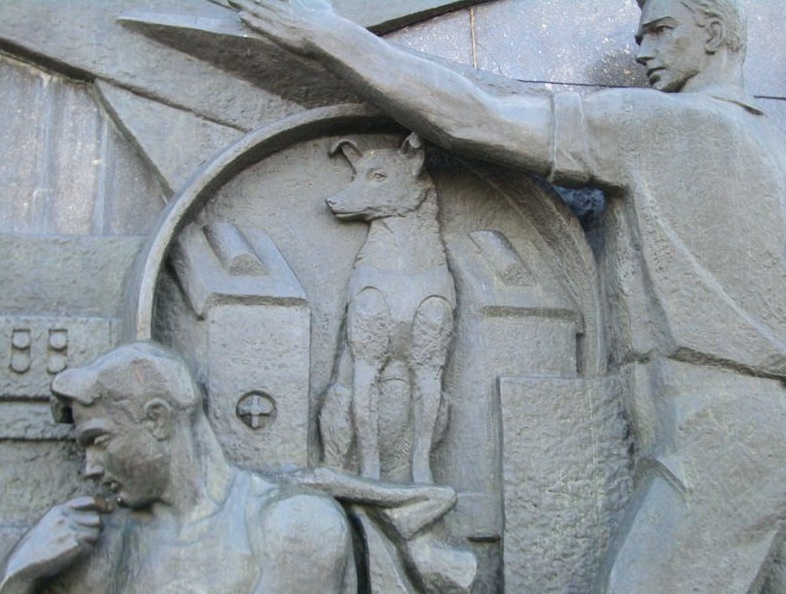 Laika was not on board the Soyuz 2. She was on board Sputnik 2. Her ship was attached the modified R-7 rocket. I apologise for any embarrassment and thank you for your time and information about Laika. AND, Telstar, there's Nick Abadzis's graphic novel "Laika," from excellent publisher First Second. A book which I own but have not yet read. Looks good, though. I second linden's comment. How...um...HOW..could you have both linked to the Soyuz 2 wikipedia page (clearly showing a Nov 2004 test flight) and then decided that the first earth creature in orbit was lofted skyward by one? But, it was sputnik 2 on an R7. Sotrios and Adam, 10,000 apologies. 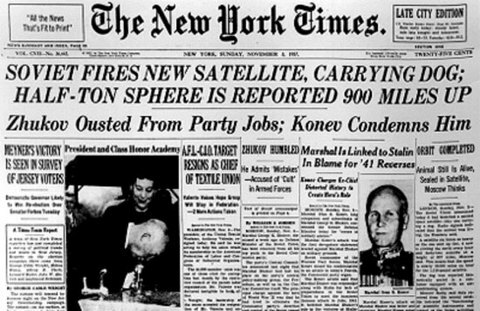 The text above has been changed to say Sputnik 2. Thanks for the correction! 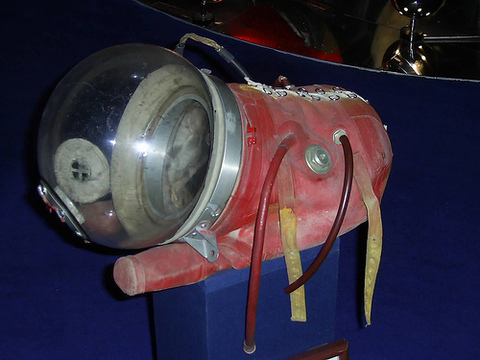 I was reading about Laika a few months ago in the book Space Race. I'm gonna have to go see her statue. Oh yeah, shes much better than the chimp the US used who was famed for masturbating constantly!